Are you ready for my multiple choice religion quiz? Take my pop quiz about religion worldwide. 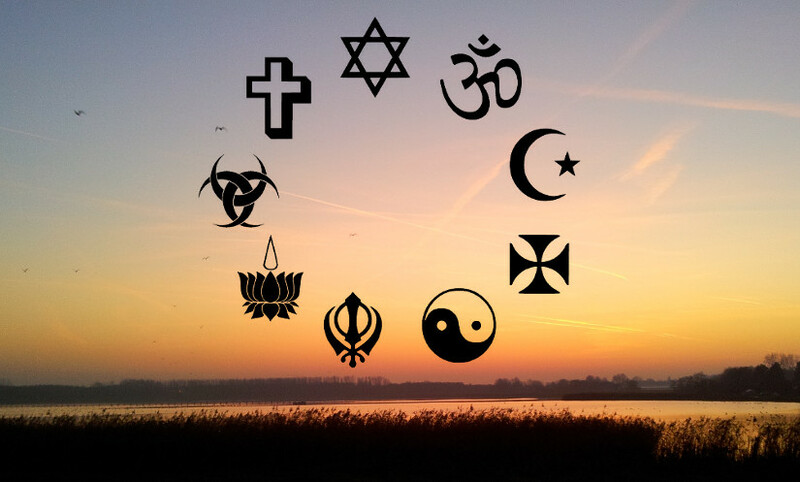 I’ve put in questions about Christian, Buddhism, Judaism, Islam and Hinduism. Maybe you’ll learn a few things, maybe you’ll show yourself just how much you already knew some religion trivia. What is not part of the Written Torah? There are various definitions of the Torah and the Written Torah. One of the definitions of the Written Torah is all of the Jewish Bible. For instance Judaism 101 says ‘The so-called Old Testament is known to us as Written Torah or the Tanakh.’ By that definition there is only one thing listed that is not part of the Written Torah: the Talmud. All the other options mentioned are considered to be part of the Torah by some definition or other. “The Bah’ Faith is a monotheistic religion founded by the Bab in nineteenth-century Persia” is basically TRUE. He is considered the founder of Baha’i and to have prophesied the coming of Baha’u’llah. Bahaism and Babism split, but Bahaism is the dominant and largest religion to come from the Bab’s teachings. It’s as true as saying that John the baptist founded Christianity. Either Jesus or st. Paul did, not John – he was a Jew. Similarly, the Bab founded Babism, which still exists. Yoga Quiz, How well do you know Yoga Philosophy? My grandfather, J.M.S. Baljon, was a theologian. He was a minister for part of his life, but his heart was with science, and he managed to get a job in the Islamology department. Eventually he became a professor of Islam at Leiden University (The Netherlands) and his lectures all over the world were testimony to how much he was appreciated. His father, J.M.S. Baljon, was also a theologian. He was more interested in the people of the parish though and for much of his life lived in the East Indies (as Indonesia was then called): family report has it he was one of the few Dutch able to appreciate the ‘natives’ on their own terms. It’s clear growing up in Indonesia my grandfather first got interested in Islam. His father, J.M.S. Baljon the first, was also a theologian. He was one of the first in the literary Bible interpretation school. This great-great grandfather and my grandfather made books that ended up mentioned in the Open Library. The 19th century one is not by my grandfather of course. My parents left the church but raised their kids with the children’s Bible. We still tend to read the Bible when (if) we get together for Christian holidays. I’m sure my parents never expected two of their kids to be seriously interested in alternative spirituality though and yes, one of those kids is me. Very interesting, a good way to learn and study and keeping your mind positively active. Previous Previous post: Humans have a soul!